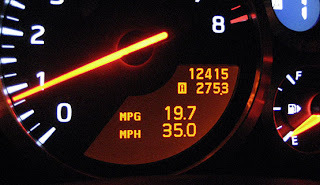 Home > MPG > 2009 GT-R : Gas Saver ? Edmunds Inside Line has a blog posting of their results driving a Subaru WRX STI and a Nissan GT-R under real world conditions. The GT-R's GR6 transmission fairly aggressively upshifts under normal cruise conditions. The results ? The Nissan got better gas mileage than the WRX STI. In mixed city/highway driving in LA ,which could be similar in speed,the STI did 16.5 mpg. The GT-R managed nearly 20 mpg , 19.7. So the question is, if you drive your GT-R normally, what kind of mileage do you see ? Hypermiling in a GT-R ? I think most people don't care too much about gas mileage, even less now that gas prices have dropped down near and under $2.00 a gallon. STi only comes in MT no AT so thats why, they didnt shift right. Don't hate... what kind of gas mileage do you get ? I got 25 mpg in the 2008 STi and never could break the 20 mpg in the 2009 GTR. That is mixed driving in Atlanta traffic. The highest gas mileage I got was 27 MPG in the 2008 STi and 19 point something in the 2009 GTR (both all highway at 60 MPH).